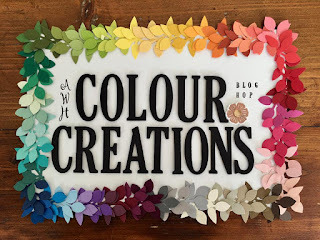 This week the featured colour for Colour Creations is Lovely Lipstick, and I had some fun trying it out with a couple of different shades from the Stampin' Up! range, and a new stamp from the Occasions catalogue - Incredible Like You. You can check out what other Art With Heart team members have made by clicking back to Catherine at What Cathy Made. Incredible Like You was an "all attendee" gift at the Stampin' Up!® Onstage Convention. I've already received a lovely birthday card made with this stamp set from the lovely Kelly Kent in West Australia, so I was keen to have a little play too.